Hey! Pikmin isn't too far away now on 3DS; actually, it is, it's not out until late July. Well, whatever, My Nintendo's latest update in North America is themed around the franchise and the upcoming portable spin-off; if you're getting a sense of deja-vu that's because the European service had the same idea last week. It's a reasonable line-up, in any case, with a 3DS HOME Theme, some discounts and even a Prima guide thrown in. Are any of you tempted by these My Nintendo offerings? Those new mission stages are providing my first use for gold points. Glad I didn't waste them on something stupid. Maybe one day we will look back on the early stages Mynintendo and laugh while holding back a cringe, thinking about what it used to be and how far it has come. Unfortunately, today doesn't seem to be that day, but I will get the theme because why not? Yep, I think I'm missing at least one of those Pikmin 3 DLC items. That works. @legendwaker I think right now it's more like looking back on Nintendo Club and wishing for it's return. I thought Pikmin 4 was coming out on Switch this year. The way Switch is selling they're probably in no hurry. Nintendo needs to release some rewards related to the nintendo switch. if they don't release some soon all of my nintendo rewards points will expire and i would like something to spend them on before that happens. aw man, Pikmin 4 tease w/ that photo and headline. I need to read first, look at the photo later. 20 Gold points for a 3DS theme? Are they insane?!?! 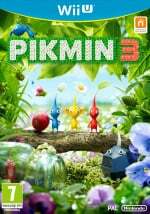 300 plat points for 15% off Pikmin 3? Well that's not too bad I guess, it's a really money savings for clicking on Miivesre and the eShop each week. I do think those 2 should be reversed though, Gold points for games, plat points for themes. I may never get anything. Well the map pack rewards are cool. Even though I got it all, would be neat if they released some smash DLC, pretty sure some people wouldn't mind spending coins on some mii outfits, but My Nintendo needs to git gudder first. Eh, never really had an interest in Pikmin. New mission stages for Pikmin seem like the best deal, and the first thing I've purchased from my Nintendo. "Are any of you tempted by these My Nintendo offerings?" I got the theme. I only have my 3DS synced to my My Nintendo account. My son has his own NNID hooked up to the Wii U and I cannot remember how to do add another NNID to it and what is the point anyway with the Switch out and I do not really play the Wii U either. I'd be interested if I had any gold points, BUT NO! All platinum. Wow, this will be the first time I ever use my gold coins for something I don't have and genuinely want, instead letting it expire or getting something I wouldn't use/want. I never got the Pikmin 3 DLC so maybe My Nintendo has finally done something I can support. I'll take all that free Pikmin 3 DLC and the 3DS theme, because why not. Hopefully they'll start putting out some Switch rewards at some point. @Joeynator3000 I was also hopping we would of got the movie shorts EU got. I grabbed the 3ds theme, I like those. @Mart1ndo Probably early next year would be my guess. The 3ds Hey! 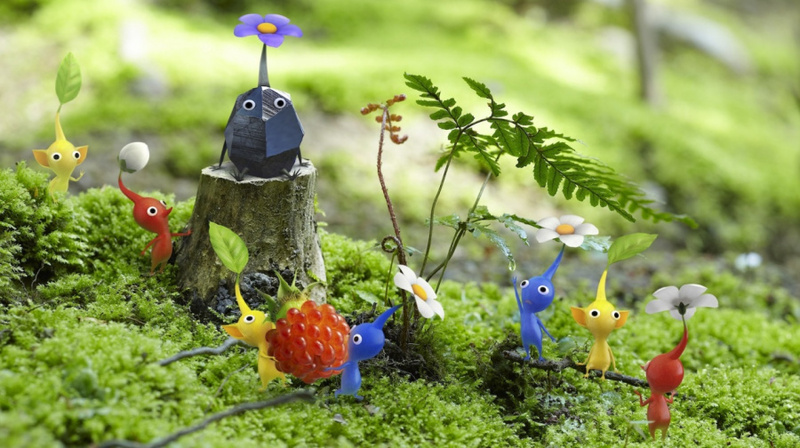 Pikmin game will be out in July. Every time I see a headline with 'My Nintendo' in it, I get sad. These are actually great rewards for once! I'll definitely be getting the DLC! I don't even really play Pikmin 3 multiplayer but my gold coins will expire soon so I may as well grab what I can. Dare I say that these rewards are semi-decent? There just needs to be more variety. I'll get the Pikmin DLC packs I don't have and the discount on the original Pikmin, assuming there's no better use for my gold coins by August. They keep promising Switch rewards soon, but it's been almost 3 months, lol. I was hoping those adorable animated shorts were on offer. I think I'm missing at least one of those Pikmin DLC packs, so I'll get that. I was really hoping for the Pikmin short movies, though. Not bad if you're a Pikmin fan and for some reason don't have the first game, third game, or the DLC. I'll pass on all these. I've played Pikmin 3, and while the story mode was fine, the other modes didn't hold my attention for long at all. There's the Switch now. I don't care about my Wii U too much, it's all clunky and stuff and only use it for playing with friends now. Why would I want these now? I actually might get a good few of these rewards this time. 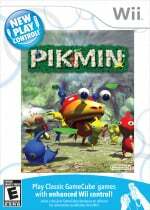 I never did finish Pikmin 3, so the guide could be useful, and who knows? I might have a Pikmin marathon after my current Kingdom Hearts kick is over, so I might consider getting Pikmin 1. Not great, but I grabbed the Prima guide. I'll finally beat Pikmin 3 soon. I've got about 500 Plat. points saved up and still don't have Pikmin 3. Here's me chance! There is the DLC at least, one thing I like about My Nintendo is that I can get some DLC through it, but there isn't always much available. Still hoping for Smash DLC like Mii outfits since I don't really buy those. @Joeynator3000 be glad, Europe didn't even get the free Pikmin 3 DLC. Or would you rather have the short movies (which probably are really cute and entertaining though). lol, keep slaving away in those discount mines Nintendo. Someday you'll see the light. I'd genuinely rather they didn't have a rewards system than have My Nintendo. It's awful and it'd be better if they didn't bother putting up the pretense. @Megal0maniac Considering people uploaded the shorts to YouTube anyways, having them as a reward on My Nintendo would be as superfluous as their wallpapers. @Kayfios Aren't the 3DS versions in 3D? That would be the added value I guess. @Megal0maniac It's okay. Years from now, region-locking will be but a distant memory.